My love affair with knitting started ten years ago. I knitted through the darkest hours and had something on the needles in a bag close by in the happiest moments of the past ten years. I love how much I love knitting. I love how everything I knit holds the memory of whatever was happening in my life while I was knitting it. I love how the hundreds and thousands of stitches capture the love I have for whomever I am knitting the hat or scarf or blanket for. 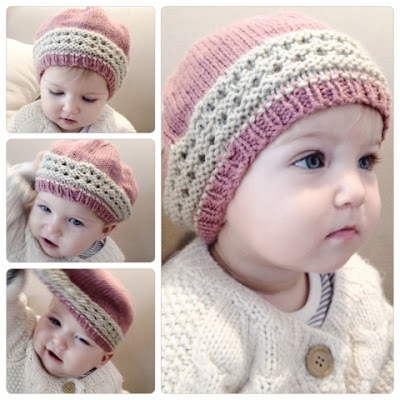 Like this hat for my baby girl. What she loves most about knitting is pulling it off her head. I hope one day she'll want to learn to knit. And if she does, I hope she comes to know the quiet places that the act of knitting takes you to. I hope she loves knitting as much as I do.